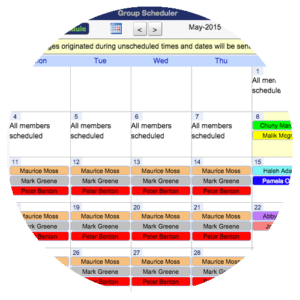 Create multiple schedules, without limitation to location, so every group gets their preferred on-call rotation. Get instant visibility on who’s on-call. 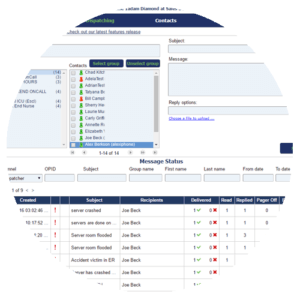 Just like the OnPage app, the OnPage dispatcher allows you to send messages to OnPage users. Set predefined responses in the “Reply Options” field for the recipient to reply with just a few clicks. 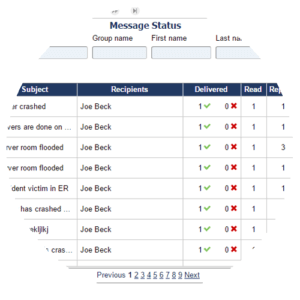 The dispatcher shows the “Groups” of contacts to let you choose alert recipients. 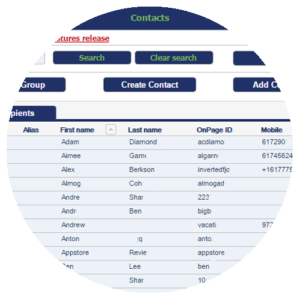 Using the “Contacts” tab create users and manage them. You can even create or delete groups. You can also set message redundancy options here. 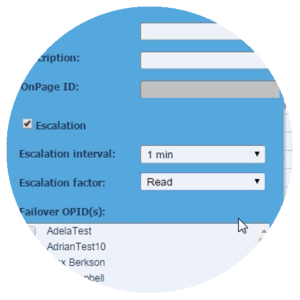 Get instant visibility into each incident, with a time-stamped audit trail. See when alerts were “sent”, “delivered” and “read”.